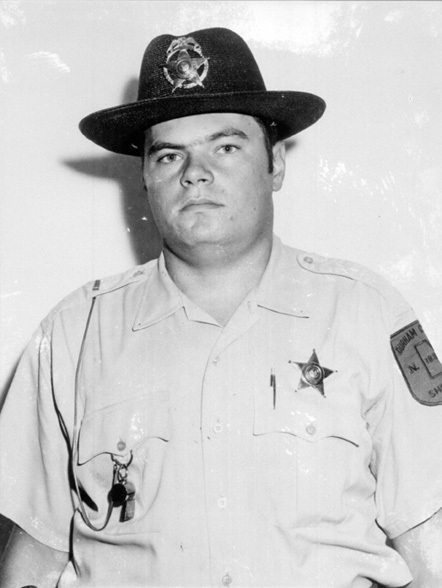 Deputy William Land was shot and killed while responding to a silent alarm at a local bank on October 15, 1971. After shooting Land through the glass front door of the bank, the gunman forced the bank manager to drive him off the premises in the bank manager’s vehicle. A high-speed chase with state troopers ensued, ending after the gunman ordered the manager to stop the car, at which point the manger grabbed the suspect’s gun and drove into a ditch. The gunman was subdued by the troopers and taken into custody. The Durham County Lodge of the Fraternal Order of Police holds an annual Peace Officers Memorial Service to honor all law enforcement officers who have fallen in the line of duty.